Since the age of 10, Lewis Marnell lived his life with diabetes – the kind where you need to check your blood for its glucose levels and give yourself a shot of insulin once or twice a day. His passion was infectious, and he never let his condition slow him down or stop him from living his life and pursuing his dream as a pro skateboarder. Two years ago, Lewis died suddenly from complications of the disease – a tragic passing for his friends, family, the skateboard community, and the world at large. 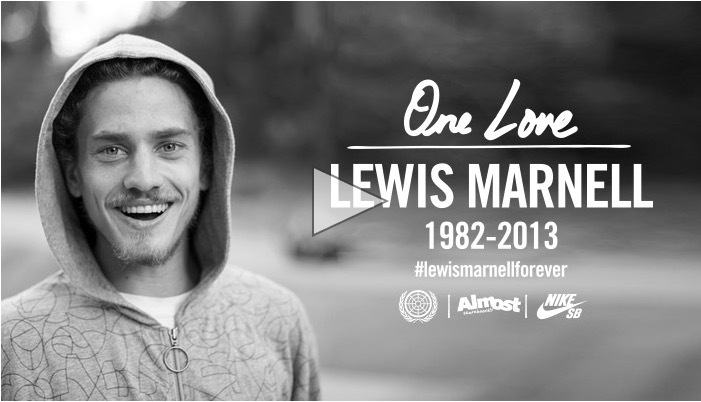 Almost, Nike, and The Berrics came together to celebrate the life of Lewis Marnell with a commemorative board and a tribute video. We love you, Lewis. Legends never die.